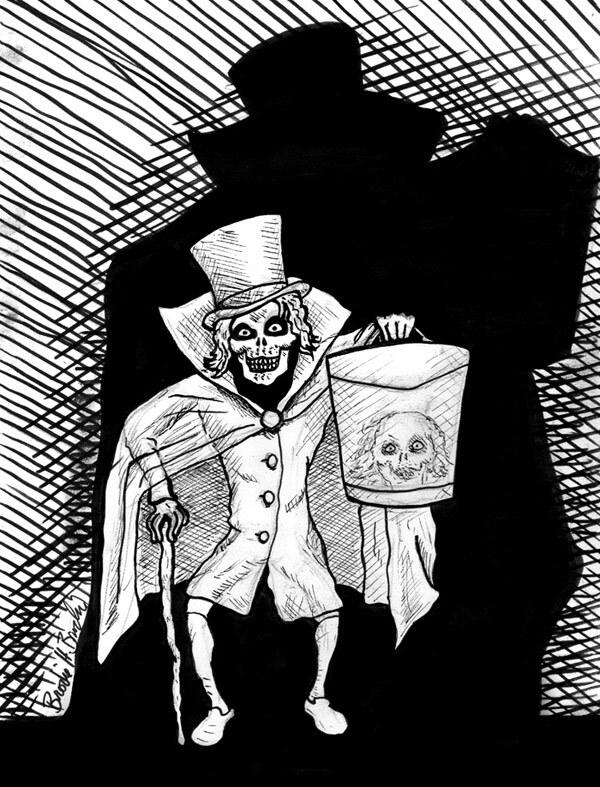 It's the Hat Box Ghost, the grimmest, grinningest ghost from DIsney's Haunted Mansion. He only appeared in the original ride for a few weeks before he was taken out... allegedly because the effect didn't work. Others believe he escaped of his own accord, to roam the world, haunting wherever he pleased... and perhaps to one day return!